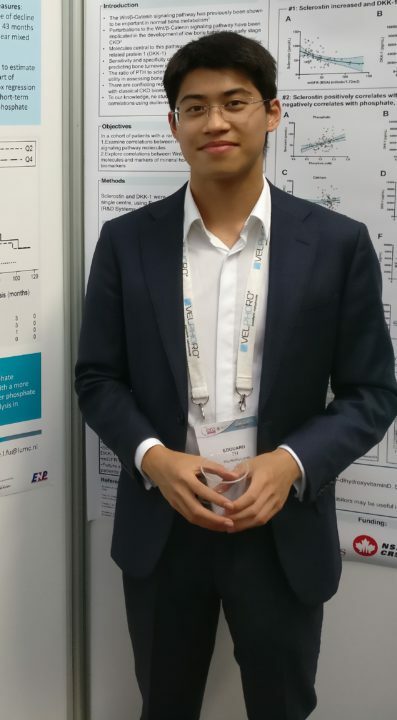 Edouard Fu (PhD-student at the Dept. of Clinical Epidemiology, Leiden University Medical Center) receives the Eurolife Early Career Researchers scholarship to visit the Dept. of Medical Epidemiology and Biostatistics at Karolinska Institute. The 3.500 Eur grant is funded by the Directorate of Research Policy, LUMC. During the 5-months project Edouard will work on renal epidemiology. The research project is entitled: Association between serum creatinine increase following RAAS blockade and adverse outcomes: population-based cohort study. Dr. Juan Jesus Carrero will supervise Edouard’s research at Karolinska Institut. The research is scheduled to start in October 2018.